Which Money Tree Is the Best Feng Shui Money Cure? There is a lot of confusion in feng shui as to which plant exactly is considered the feng shui money plant. As with many feng shui money cures, too many magical powers are attributed to the money plant, so let's bring some clarity to it. The truth is, you can use any healthy, vibrant lush plant as a feng shui money plant because the meaning of the symbol is in its energy. The energy of the feng shui money tree is in its vibrant and well-rooted energy; a growing energy that you would like to see reflected in your own financial situation. You can use any lush, vibrant and happy plant to attract the energy of growth and abundance, just be sure to take good care of them! In the world of energy like attracts like, so if your plants are lush and thriving, the energy attracted to them will also be lush and thriving. 1. Botanical name: Crassula Ovata. 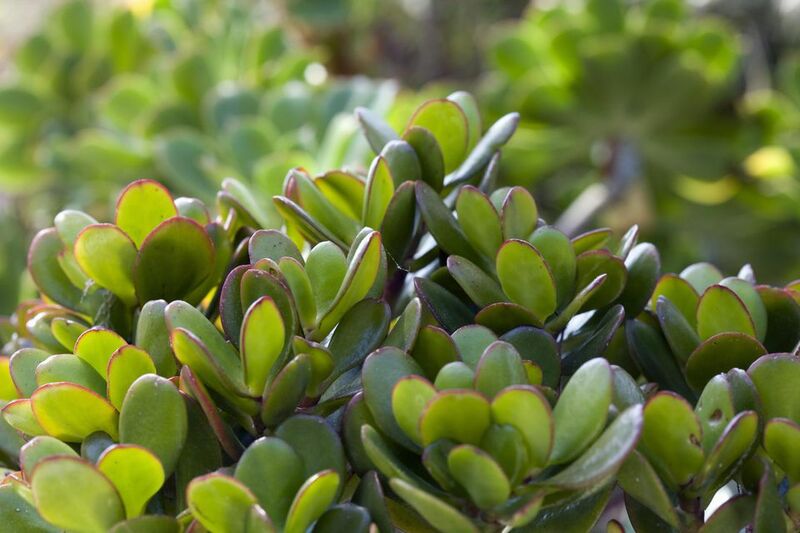 Also known as the jade tree, this is a succulent plant easy to look after. It has an abundant, happy feel to it and looks good in most homes or offices. It is also quite easy to care for, as long as you give it enough water! Crassula Ovata does need a lot of light in order to thrive, so be sure your place is a good match for it. 2. Botanical name: Pachira Aquatica. This is a type of bonsai tree that can grow quite high. Its characteristics are several braided trunks and multi-foliage leaves. It also needs plenty of light, as well as consistent watering. 3. A feng shui product called the Money Tree. Often used in classical feng shui applications, this cure literally has coins growing on a tree. You can buy this feng shui money cure on-line or in the Chinatown area of most major cities. Which feng shui money tree is best as a feng shui money cure? The choice is up to you, as all three feng shui cures listed above are popular feng shui money trees. Decide which one you like the most, as well as which one works best with your home decor and your overall environment. Be sure to choose a plant that will thrive in your light conditions, rather than barely get on just so that it can prove a feng shui myth.